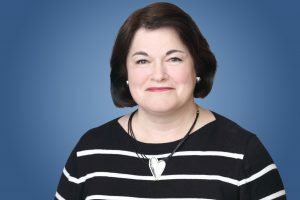 Suzanne Cabrera – President & CEO – Housing Leadership Council of PBC, Inc.
Suzanne Cabrera is the President & CEO of the Housing Leadership Council of Palm Beach County (HLC). The HLC is a non-for-profit, 501(c)(3) organization founded in 2006 by community and business leaders to address workforce/affordable housing issues. The organization is an action-oriented coalition of businesses, civic, and community leaders working to increase the availability and attainability of housing for the areas workforce. Specifically, Ms. Cabrera works on the development and preservation of affordable/workforce housing including financing of projects through private and public sources and addressing regulatory barriers that increase the cost of housing. As part of this effort, the HLC convenes a wide variety of public, private, non-profit, and municipal partners including business executive, developers, lenders, CRAs, CDCs, housing authority, as well as local, state, and federal agencies to develop housing strategies and form collaborative partnerships to implement policy and funding initiatives. The HLC formed several successful consortiums, including the Lake Worth CRA Consortium which received a $23.3 million dollar NSP2 Award and the South Florida CLT Network which received funding over $500,000 from SIF, Ford Foundation, and Cornerstone. Ms. Cabrera’s has extensive experience in writing and administering federal, state, and local grants including NSP, CDBG, ESGP, ESP, and FEMA. She has written grants resulting in over $50 million in successful awards. With over 30 years of experience in the field, she has a wealth of knowledge in the area of workforce/affordable housing. Prior to joining the HLC she served as Executive Director of The Lord’s Place, a non-sectarian, non-profit agency which serves the poor and homeless. During her tenure with that agency she started a number of housing initiatives including securing an initial $1.2 million HUD grant and $4 million in private funding for the construction and endowment of a 38 unit multi-family housing complex. Prior to that she served as the Executive Director of Hibiscus Children which provided shelter for abused and neglected children and family services for families at risk. Ms. Cabrera’s professional volunteer roles includes current member of the Florida Housing Coalition Board of Directors serving as a statewide representative. Locally she was a member and past chair of the Palm Beach County Commission on Affordable Housing, chair of the West Palm Beach Affordable Housing Committee, executive member of the Affordable Housing Collaborative, member of the Homeless Advisory Board Housing and Advocacy committees. Cabrera frequently speaks on housing issues at the local, state, and national level. Ms. Cabrera was a member of Leadership Palm Beach County Class of 2003 and served on that organization’s board for 5 years. She has also been involved in the local Association for Fundraising Professions serving as the chapter president as well as numerous other leadership roles. She was awarded the CFRE (Certified Fundraising Executive) designation in 1994. She is active with her local community and volunteers for numerous community boards. She received a Bachelor of Science degree from St. Lawrence University with a double major in biology and chemistry and did graduate work at McGill University. She resides in West Palm Beach, Florida with her husband, Maurice, an aerospace design engineer with Aerojet Rocketdyne and her twins Alex, who attends FSU, and Rachel who attends USF and is a Midshipman in the Navy ROTC.